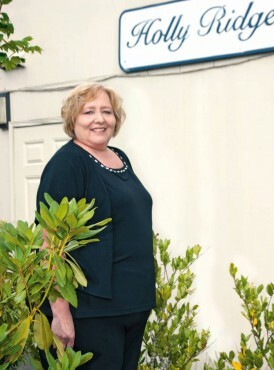 Roxanne Bryson’s inspiring and motivating leadership style is behind the success of the Holly Ridge Center. A servant-leader who puts others first, she has a passion for ensuring that children and adults with different disabilities receive the support they need to live to the fullest in the local community. Holly Ridge Center is recognized as a leader in providing early intervention and adult employment services for individuals with disabilities. It has been delivering community-based, individualized, family-centered services for children and adults with differing abilities for 52 years. The agency serves every child with neurodevelopmental needs who comes in, regardless of insurance coverage or the parent’s ability to pay for services. The number of young children needing services has grown by leaps and bounds, and more than 1,090 children were served in 2014. The Infant Toddler Program provides services to the youngest and often the most vulnerable population in the community, infants and toddlers who have special needs and are medically fragile. 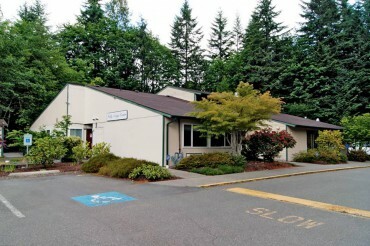 It is the only comprehensive neurodevelopmental program in Kitsap County. Adult Employment Services staff work with individuals with differing abilities to prove to them and others that they are capable of working, being productive, independent and functioning in society with everyone. The AES program offers a variety of employment services and strategies, designed to meet the goals, skills and choices of the job seeker. It also provides practical assistance to the employers in working with persons with disabilities. Over the course of the next two years, Holly Ridge Center will be working on expanding its facility service space to meet growing needs. Its building has been at capacity for more than seven years. The agency hopes to launch a capital campaign this fall, and a feasibility study will be completed in October. In addition to her work at Holly Ridge, Bryson’s contributions include establishing the first Kitsap County healthcare clinic for low-income and uninsured individuals in Kitsap County — what has since become the Peninsula Community Health Services. Together with St. Vincent de Paul, she also helped establish the county’s first emergency housing program. Her numerous contributions and leadership involvement includes groups such as Kitsap Community Resources, Leadership Kitsap, Kiwanis Club of Bremerton, Silverdale Rotary, Olympic Kitsap Regional Early Learning Partnership, Ethnic Unity Coalition and numerous others. Leadership Kitsap recently recognized Bryson with its 2015 Outstanding Alumni award. I started out in the nonprofit sector by volunteering at 17 in human services and found it very rewarding. At the age of 23, I opened up a residential home for children with disabilities and did consulting to deinstitutionalize individuals and place children and adults close to their families in group homes. Passion for all people having dignity and seeing that life can be better. Time management and sometimes balance. “You have an awesome job”— and I do! Things — I would say flowers. Working up a sweat in the garden then setting back and enjoying my hard work with the community wildlife. Bird watching, gardening, whitewater rafting; I love to fish, just haven’t found the time.